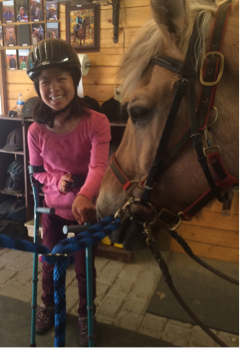 SpiritHorse Therapeutic Riding Center of Canton, Inc. - SpiritHorse Therapeutic Riding Center of Canton, Inc.
SpiritHorse Therapeutic Riding Center provides weekly therapeutic riding lessons for people of all ages with disabilities. All lessons are private, and are taught by certified SpiritHorse International Therapeutic Riding Instructors who volunteer their time with the organization. The support staff of Instructors, Sidewalkers, Administrative and Barn Help are also volunteers. SpiritHorse has developed a research-based program of equine-assisted health care, which has a different goal than that of recreational therapy. It includes, for example, 178 specific steps provided in a one-on-one setting for intervening with its over 200 children diagnosed with an Autism Spectrum Disorder at SpiritHorse International in Corinth, TX. This is the exact same program used in Canton. 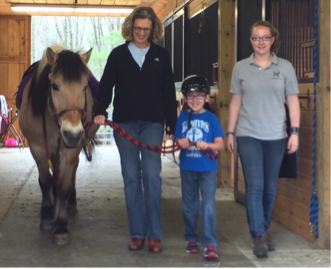 SpiritHorse provides unique, highly effective, private, equine-assisted therapeutic riding lessons. Each lesson includes horse management as a part of the curriculum, incorporating responsibility and ownership. Each student, to the ability they have, leads, grooms and saddles their horse before and unsaddles after each lesson. While riding, each student's individual needs are being addressed through horse therapy such as speech, sensory, balance, behavior, cognitive processing and more. Recently, SpiritHorse added new programs to their therapeutic services. Early Intervention Program. SpiritHorse of Canton is one of few therapeutic riding centers that allows children under the age of 5 to participate in equine therapy. We work closely with therapists, Birth to Three, and local PreSchools, to start students with developmental delays. These lessons are 30 minutes and contain the same awarding winning steps, but just on a smaller scale for the younger children. One Hour “Mentorship Lesson”: Teens with disabilities are paired with teen volunteers working on the grounds and with various horses and ponies, learning about horse care while forming a lasting friendship! This program is perfect for teens with social difficulties and those needing to boost their confidence. Mounted and Dismounted lessons available. Summer Program: SpiritHorse will be offering weekly and “mini-weeks” of summer fun at the farm! Teen volunteers will be paired with students as they explore farm life and learn about horses and ponies. Arts and crafts, games, activities, animal care, and riding instruction will prove a fun and active summer camp! Enrollment is limited, to provide lots of 1:1 time! Equine VOAG Program. 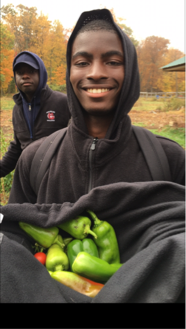 Unified vocational agricultural training in a farm management program/equine program for at risk, Special Education and mainstream students, attending High School. Problem solving, working independently, and as a team, in a farm setting, and effectively using reading, writing and speaking skills as related to professional and workplace environments. Students learn to work safely in a equine environment while receiving instruction on managing horses, goats, and chickens, landscape skills, small animal care, gardening and general farm maintenance. Volunteers are a major asset to SpiritHorse. They help in operations and everyday tasks, helping SpiritHorse to continue providing services to their many riders. If interested, please fill out the volunteer application. All volunteers are screened through an interview process, and are subject to a background investigation. 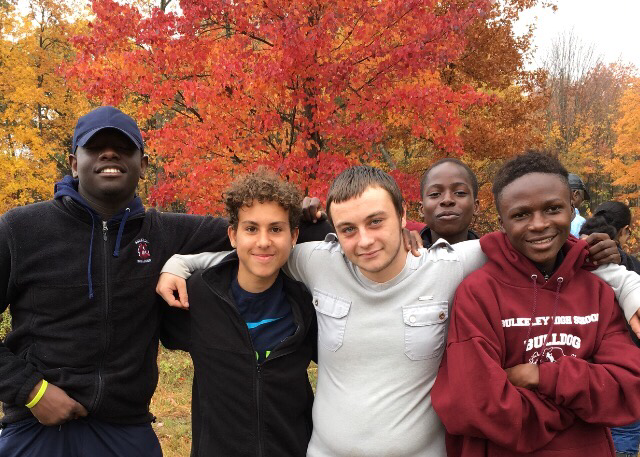 SpiritHorse Therapeutic Riding Center in Canton CT is pleased to announce a unique collaboration with Bulkeley High School. SpiritHorse is located on 40 acres of bucolic farmland with expansive panoramic views, Our students are given the opportunity to experience learning in an alternative to the traditional classroom setting. Twice weekly, students are transported by school bus where they learn barn and animal care, and the focus is on teamwork and building connections. A collateral benefit is that students are able to build safe connections with their peers and adults, which in turn translates to success both inside and out of school. Job coaches are all trained to provide support to our students in this therapeutic milieu. • Improve regular school attendance and school performance.